For most folks just moving to the country, there are many choices to be made concerning their new lifestyle. These choices can seem overwhelming sometimes. For instance, many new homesteaders think that having home grown fruit must be a pretty good thing, and so they jump right in, order trees, plant them, and hope for the best. Sometimes the trees grow, and sometime they don’t. Sometimes the fruit makes, and sometimes it doesn’t. Newcomers and, I must admit, older folks like me, too, need to do some homework before planting. It really doesn’t matter where in the country the farm is. Up north, in the Midwest, or down south, there are just lots of things to study and be sure of before the shovel hits the sod. 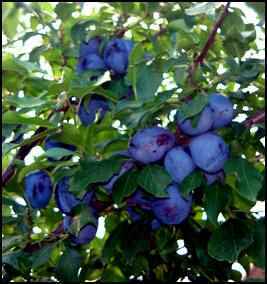 Homesteaders must remember always that planting fruit trees is a very labor intensive effort. Fruit trees are even more time intensive. Think about this: Plant the wrong peas, and you’ve made a three month mistake. You lose a planting season. Plant the wrong fruit trees, or plant them in the wrong place, and it may be a ten year mistake, and you may never really get to make it right. Through the years, my family has lived in the country in a number of places, from the northern parts of the Ozarks to the very southernmost parts of Alabama, Wherever we’ve lived, we’ve grown our own fruit. We have made our share of mistakes, and we’ve had our fair share of successes too. There must be something about seeing fruit trees grow, bloom, set fruit, mature fruit, and then yield fruit up when ripe for our eating that keeps us coming back. We just keep planting fruit trees. Although we’ve lived in lots of places, we’ve always found that wherever we have lived, fruit can be home produced, and very often be much better than anything store-bought. There are a few things that we’ve discovered that we’d like to share. A long time ago when we first moved from the city to the northern Arkansas Ozarks, planting fruit trees for our home use was one of our first priorities. We were very fortunate at this time, because my father-in-law lived close by, and he was a first rate orchard-man who kept a ten acre mixed orchard and had years of experience growing fruit. 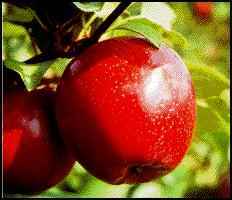 We had good guidance from him when we started selecting varieties of apple trees, plum trees, pear trees, and pie cherry trees. He had learned much about the climate and trees which he passed along to us. From him, we learned which trees would work together to produce fruit for our family’s use. Before we obtained our first old homestead, I spent long summer days and even longer fall days (and nights in some cases) helping my father-in-law prune, spray, pick, grade, polish, and sell many, many bushels of apples. It was a pretty full education I received. However, even my father-in-law’s judgment was not perfect. You see, in addition to his apples, plums, and cherries, he wanted to grow peaches, and that was a problem. 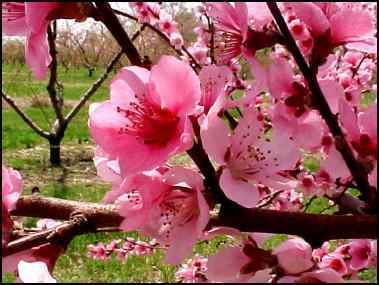 On the west and north facing hillsides of his multi-acre orchard, his peach trees grew well, bloomed vigorously, and almost every year had their infant peaches frozen by late spring freezes. In all the time I was there-about fifteen years- he got two partial crops of peaches. These were wonderful crops and we enjoyed the fresh peaches, but two out of fifteen crops successful just won’t work. For a homesteader who has plans of selling fruit for profit as well as home use, it can’t even be considered. What I saw and learned from my father-in-law’s peaches was this. Even though the fruit tree catalogs informed us that peaches would grow in our Ozark climate, the specialized micro-climate of his orchard made growing peaches practically impossible. The home grower must realize that this sort of thing happens. No matter where a homestead happens to be located, the new grower must be cautious in selecting fruit trees, and make sure that an investment of money, effort and time will actually produce. Another thing. No matter how much we may want a particular fruit, that won’t make it grow if it can’t prosper where we live. We couldn’t grow oranges in Arkansas, and we have learned that we can’t grow apples in south Alabama. When we moved from the Ozarks to south Alabama, we had to make some “changes in latitude, changes in attitude”. In our new homeplace, we planted blueberries, and a wide range of citrus trees. Now, planting orange trees was a change for us. I never expected to live in a place where I could grow oranges in my yard. But, that’s what grows down here. I also found that peaches and nectarines (which is a wonderful fruit eaten full ripe and fresh from the tree) would grow very well down here. So we planted our new fruit trees, and watched them grow, and waited for them to make fruit. I was so excited about the success of my little Satsuma orange trees (a variety of Mandarin orange that can take chills down to 22 degrees or so) and how well they grew, that I ordered and planted a wide range of lime, lemon, and grapefruit trees for my home orchard. That was a big mistake. Just like my father in law’s peaches, my lemon and grapefruit trees lived, but our winter temperatures get just a degree or so too cold each winter, and the trees lose their new fruit bearing growth. The trees don’t die, they just don’t produce. Meanwhile, my Satsuma trees which are suited for this climate, keep on growing, blooming, and producing. For sentimental reasons and to make my daughter happy, we ordered a golden delicious apple to plant in our yard just to see what it would do. What a sad mistake! The tree is still alive, but the almost tropical climate down here just confuses the poor thing to a great extent. Our apple tree bloomed three times last year, once in the spring, a slight bloom in July, and a bigger bloom in September. And after all that bloom, not an apple did it set. We planted some “sub-tropical cherry trees” that a reputable fruit tree catalog told us would grow in our area. They water-killed the first year. Cherries can’t take much water at one time, and some stormy days down here we get fourteen inches of rain. There are even more considerations for the new fruit grower. When we lived in the Ozarks, winter seemed awfully long and cold, but it helped our fruit in certain ways. Many fruit tree pests and diseases were knocked back every winter by the cold and the freeze. When we moved to the no-winter southland, we discovered the hard way that fruit tree pests down here never take time off. We lost our biggest and best nectarine tree to peach tree borers in one winter season. Before we could do anything about it, the tree was dead. It never gets cold enough down here to kill the over-wintering grubs and eggs of many pests, so spraying, mulching, and cultivation is a year-round job. We have also discovered that fruit trees which require an extensive chill period to make fruit the next spring just won’t make it here. 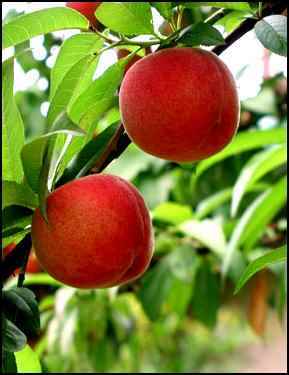 We have to be very careful to order short chill peaches and any other fruit trees. We have had to learn the hard way that just because something worked where we used to live, that doesn’t mean a thing in a new location. The point of this whole thing is this: Study before you dig, and know what you’re reading before you study. Commercial catalogs are wonderful reading, but you must remember they are trying to sell you something. Just because a fruit tree will live where you do, it doesn’t mean it will produce. Be very careful of the climate maps and planting advice. Especially be careful if you live on the “border” of two areas. Also, be aware that even in a very small area, like our acre-and-a-half place where we live now, there are micro-climates that make a huge difference in a fruit tree’s living or dying, and especially in a tree’s making fruit, or just living. Walk your land and see where you have air flow and good protection from harsh winds-either hot or cold. Picking the right location for a home orchard can be the most critical step in a successful operation. Finally, my best advice for a new homesteader interested in growing fruit for home use is to take a long drive. Yes, that’s right, a long car ride. Drive the back roads in your area and look at the farms that have been there for a while. See what trees they have. See where the trees are planted. You might even want to stop and introduce yourself, and ask about the trees, and ask for the person’s advice. If you don’t see the fruit trees you want to grow already planted somewhere else in your region, there must be a reason for that. Maybe the fruit trees you want just won’t grow where you are. At any rate, a drive and a few questions asked and answered might save a new homesteader a lot of trouble and expense, and even more importantly, time.